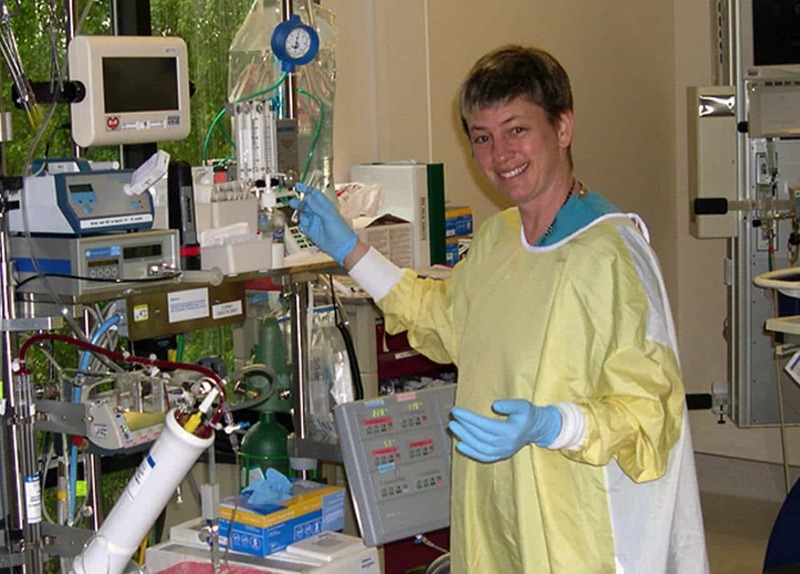 Let’s shine a light on the story of Kimberly Sue Hiatt for a moment, a critical care nurse at Seattle Children’s Hospital, whose untimely suicide in April of 2011 had sparked numerous debates whether the penalty imposed on her after committing a medication error was justifiable or not. Her death was a by-product of anguish and the loss of her coping mechanism skills after she accidentally gave 1.4 grams of Calcium Chloride instead of the calculated 140 mg dose (that’s ten times stronger) to a critically ill eight-month-old infant on September of 2010. She was noted to be a veteran in the said hospital with an excellent reputation for 25 years. That was her first medication error as per the investigation records, and it left her devastated beyond grief. The hardest part came when the death of the infant happened five days after the incident. She was sacked from the hospital in a matter of weeks after a period of suspension, which led to a domino effect towards Kim’s road to Calvary. She was then mandated a four-year probationary period by the state nursing commission, with an emphasis that she has to be supervised whenever she would give medications to patients. This and the incident had been contributory factors why she was having a hard time getting a new job as a nurse. In the end, she committed suicide seven months after. 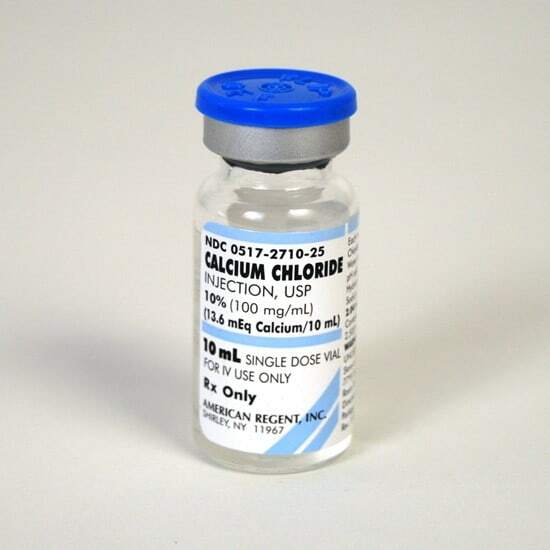 Calcium chloride is necessary for normal cardiac function; its pediatric dosage is 0.2 mL /kg of body weight. Maximum 1-10 mL/day. It was a known fact that the infant was already weak due to a severe cardiac condition since her birth. It was also not proven if the medication error could have triggered the cardiac deterioration of the baby. State investigators disclosed that the child’s fragile condition and poor prognosis would have made it difficult to prove legally that the overdose caused her death five days later. However, the statement by cardiologist Dr. Harris P. Baden who treated the baby said that the mistake had “exacerbated cardiac dysfunction” in the baby which led to her decline. Kim’s story is just an example of the effects of the “second victim syndrome,” a twin casualty of any significant medical mistake. The term was coined by Dr. Albert Wu, a professor of health policy and management at the John Hopkins Bloomberg School of Public Health. The infant, as well as her nurse, died in a series of unfortunate events. The death of Kim highlighted a crucial back-story unbeknownst to everyone: that nurses, as well as doctors, are greatly affected too when these kinds of incidents happen, and that the impact could lead to such demise. And Kim is not the only one. No one is safe, and it could happen to any one of us. It is a paradox of sorts that the nurse would still have to face the feelings of guilt, blame, inadequacy, and anger towards themselves, when in fact, the nurse did not intend to harm the patient. To make matters worse, the nurse becomes a victim of loneliness and rejection from the profession itself. This is a territory of emotional trauma where nurses are getting scarred deeply for the shame that follows after committing an error that had led to patient harm. This trauma could break the nurse into an irreparable mess. There are times when members of the medical team, nurses included, would commit a grave error in their career, and these errors would bring feelings of inadequacy that are more likely to torture them in secret. It is traumatic to see blood, death, and near-miss tragedy brought about by their hands. It is never a comfortable life in the medical field. That fact might have haunted Kim on the brink of hopelessness, as she could not bear the thought that she had contributed to the death of the baby she had vowed to bring to life. The ultimate stab at this type of career is when nurses would see how insufficient their training is for this profession. Just like Kim, a performer in the field with top mark appraisals from her supervisors in Seattle Children’s, she has not have gained immunity to making mistakes despite having those gleaming scorecards. Nurses and doctors would have to expect mistakes to happen along the way, but no one really knows how to forgive them for that. Taken into consideration Kim’s progress as a staff nurse, her error was proven as unintentional and not a result of repeated violations of the safety protocols within the hospital. It could have been a different story if she was already an employee who was hard to handle, but no, she was not. But she was still kicked out. “To eliminate them is futile, you will make errors,” said Mary Z. Taylor, a director of patient safety at the Washington University School of Medicine in St. Louis. “You may think things are safer if you’ve gotten rid of that person, but that’s not necessarily so,” she added. Nurses could suppress emotional pain, maybe because they are assumed to have more hardened skin. We are expected to be perfect, to commit zero errors no matter what. But Kim’s story goes beyond that, for it opened up questions that placed the administration in the spotlight for upholding such rigid guidelines. Why should nurses suffer from such inflexible expectations when mistakes are to be expected as nurses are human beings too? It might have been true throughout history with suicides closely linked to on-the-job errors. The administration managing the nurses might have been lacking ideas for a better solution, or might be withdrawing support instead, to heal the healers during those times when a traumatic experience would arise, such as in the aftermath of a serious medical error. And this is not what nurses have envisioned their profession to be. For Kim who dearly loved her job, losing it was the end of her dream, at which point, killing herself became her only solution. Kim’s ordeal showed that nurses are most probably neglected in the end to face the effects of such errors, such as the loss of confidence with themselves in taking care of patients, the anxiety and fear of committing the same mistake again, and other stressors when the higher management no longer supports the nurses involved. Nurses had made an oath to “abstain from whatever is deleterious and mischievous and will not take or knowingly administer any harmful drug.” It is the stronghold of their ability to care. Commit one single mistake: an overdosage, a missed medication, a fall incident, and the nurse is forced to face accusatory eyes. No one in their right minds would wish to do any harm to anyone. All of the good things that nurses have done to uphold non-maleficence are brought to naught in the long run, as they are no longer accepted as whole and pure in the profession because of these mistakes. It is never prudent to say that if you are not up for the challenge, then you’d better leave the profession. That is just too insensitive. Some nurses are just more unforgiving to themselves for committing such errors; they are drawn to the negativity of the situation, that it would lead them to do severe damage to themselves. This had been the case for Kim. “More often than not, the more idealistic the healer is, the more intense he or she would feel in terms of depression and trauma and inadequacy,” a nurse from California once said. Somehow, the honesty and transparency that Kim had portrayed came out as a liability instead. She had the choice to shut up, but she chose not to. That’s moral fiber, and it remained unappreciated in the end. Somehow, the honesty and transparency that Kim had portrayed came out as a liability instead. A survey of the Washington State Nurses Association (WSNA) in the months after Hiatt’s case identified that half of the respondents believed their mistake would be held against them. Furthermore, nearly a third had stated hesitancy in reporting an error or patient safety concern as they are afraid of the harsh retribution of the higher management awaiting them. There goes the honesty of these nurses in exchange for the freedom to make mistakes. Depression and anxiety attacks are becoming notorious silent killers throughout the land. Ultimately, we regret when suicides happen out of depression, mainly because of the possibility that we could have prevented it had we known what’s going on behind the scenes. According to a January survey of more than 8,000 participants published in the Archives of Surgery, surgeons who believed had committed medical errors were more likely to have considered suicide. And while this survey did not include nurses, it is undoubtedly true for them too. Depression, post-traumatic stress syndrome, sleep disorders, generalized anxiety disorders as we diagnosed them, but there’s more to it than what we see on the surface. At some point, deep down, nurses had worked with an idealistic vigor. Somewhere along the way, that same idealism was making them hard on their selves, as nurses could no longer live up to their picture of what they should be once they see how imperfect they are. And the lack of an outside support system for this inherent imperfection is volatile to the nurse, leading them to believe that he or she is dishonorable. The fact is, mistakes are universal and inevitable. It is a matter of knowing how to use these errors as lessons for future prevention. We could only take off all thoughts of what could have been, but for Kim, it is already a little bit too late. It is best to articulate that mistakes in this profession are, and should be, prevented. But the fact remains that when our healers cry for help, nobody ever comes. This is the reason why nurses are more burned out compared to other professions around us. In the end, nurses tend to leave the profession to gain a sense of relief from the emotional trauma of becoming the second victim themselves. Maybe it is a vicious world that we are hanging in. Perhaps that is just how it is supposed to be. But does anybody know how to take care of our nurses too? For Kim, it is a story with a lesson of missed chances. Had she been given a new opportunity to begin again, maybe she could be carrying lectures right now in different establishments on the possibilities of nurses being prone to terrible mistakes? But her being a casualty of the second victim syndrome had been the medicine for the future administration, and her death had been her strongest message after her cry remained unheard when she was still alive. Have you made mistakes in your career as a nurse? How did you handle it? Share your stories via the comments section! I have been an RN since 1983. And I can honestly say I have made very few medication errors along the way. My first one, however, still stands out. I, too, was working at Seattle Children’s Hospital at the time of this mistake. I was a first-year RN and worked nights. I stayed over one morning to get a 3-year-old patient ready for the OR. This included premedicating him for a CT scan prior to surgery for neuroblastoma that day. I had to mix a Demerol-Phenergan-Thorazine cocktail for IM injection. I miscalculated the amount of Demerol and gave the patient twice the amount. I admitted the error as soon as I realized what I had done. The nurse manager told me I had to accompany the patient to the CT with resuscitation equipment on standby, tell the anesthesiologist what had happened, and complete an occurrence report. Fortunately, the patient had no adverse effects from the injection. (A few months later, Pharmacy began making all DPT injections because of similar errors). It is a serious issue. I am aware of a ridiculously harsh treatment of a nurse being honest. She went home with a narcotic in her pocket. As soon as she discovered it, she returned the the facility and took it to pharmacy. The pharmacist wrote her up for that. Her nurse manager told her if it happened again, bring it to her instead of reporting it. So, reporting an error is detrimental to one’s career. That leaves us with an ethical issue of reporting or not. A question of ethical standard, I was a nurse for 5 years in a tertiary hospital, but if reporting an error becomes a liability to myself it’s better to keep it to myself. You will lose your job as a nurse plus a criminal or civil liability will be filed against you. This is why a high percentage of us nurses do not report aour mistakes or error to our higher ups because instead of helping us they will condemn us. Thanks for sharing and shedding light on this realty. Thank you for sharing this story! I am a soon to be graduating RN and I will carry every detail in my heart. I pray this type of stigma toward our humanness will change soon as we continue to learn how to navigate in the arena of errors. Please do! Thanks for your comment, Elizabeth. What is the average med errors in living centers? I had experienced mistakes as well but most of it were minor mistakes. The only problem was this resident doctor made a story about those mistakes and had it exaggerated. She even provide false information against me to the medical administrator. Not only that the medical administrator belittle and insulted me as if I am the worst nurse ever. Honestly, there are so many nurses in my ward had done more grave mistakes and had endangered the life of their patients but never they had been insulted. That’s terrible. Hope you reported the resident. From your story, that sounds straight up bullying and power tripping. It should not be tolerated! If you think it’s a way to teach you a lesson, there are other ways to do it! Hmmm it’s such a pity that the very hands that has provided so much warmth even to strangers, the face that gave many hope and the smiles that told the world they are not alone go through so much of loneliness when we so much need help. I suppose the curriculum of nursing training institutions should entail on emotional intelligence, assertiveness, self confidence and personal development. Her story is so sad and yet terrifying as a nurse. Terrifying because it could happen to all of us. 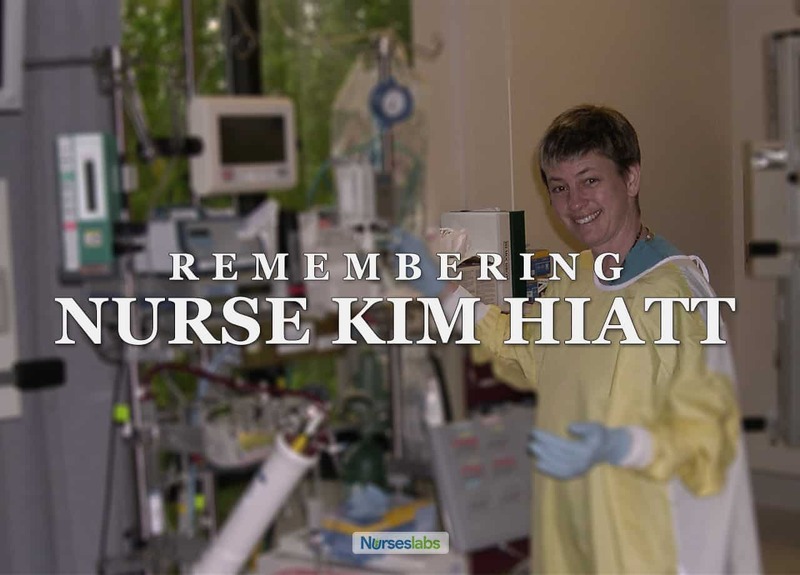 Hope Kim’s story served as an inspiration and a warning for us nurses. Thanks for your comment and thanks for visiting the site, Annorbea. Thank you for sharing your insights, Lisa. I have worked in L&D, Triage, Post Partum and helped in the Nursery for 25 of my 32 years. I am 60 now and my history and experience with a Midwife, Nurse Practitioners, Obstetricians, and Charge Nurses was Harassment. Condescending, belittling at the bedside, in front of Nursing students, in front of Anesthesia, and worse of all the patients’ families. This went on for three years before the midwife did a behavior at her office and was fired. My confidence, self-esteem went down and my depression and anxiety went up. I self-doubted myself and dreaded making mistakes that in the end got me suspended and put on probation. During this time I was bidding on other jobs but never interviewed. Jobs I had done before mind you. I burned out. The harassment, changing hats multiple times a day from certain charge nurses, was affecting me more than ever. I was so afraid of making a mistake that I made them. Then the assignments from hell came and I was told I didn’t have a choice. Missed a blood sugar at 6 hours on breastfeeding baby. My assignment was 6 newborns less than and up to 24hours of age. Pku’s, bilirubins, labs, and Hepatitis B vaccines all had to be done. It was all overwhelming. I started seeing the writing on the wall. I took the first job offered to me to get out. I mourned four weeks and was very angry. Management did not help me more than recommended to write it up. I wanted to sue the midwife for unnecessary harassment. I am now very Happy to be working in a Nursing facility alongside my 2 daughters. I have a special love for the elderly and will end my career very happily. That’s outright bullying and should not have a place in nursing…especially in nursing! I’m so sorry for what happened to you and I’m glad that you found your way back on track. Best of luck and thanks for sharing, Sue! I’m actually a surgical tech…. but I did wrong site surgery on someone..luckily it was just a carpal tunnel, but its all the same. I was yelled at by my manager so loud you could hear her scream ‘What the hell happened’ at the desk 15 feet away with the door closed. It’s not as major as this, but it could have turned out differently. You get lax and think I’m careful not me, but it can be you! You’ve learned that lesson a hard way, Kim. Hope you guys implement the Surgical Safety Checklist by the World Health Organization. Thank you for sharing. I have made 3 med errors that I know of in 23 yrs and know how easy it is when interrupted, distracted or just exhausted. I am a proponent of prevention before the error. In seems like if there is a way for an error, it eventually will happen. It seems to me that in this situation, just like with insulin, either a second nurse should be required to double check or there should not be a multi-dose vial. Pharmacy could have the dose precalculated and pre-dispensed. I realize there are emergencies etc. where there is not time for this type of planning but the process is just as important as the knowledge and experience of the nurse. I hate thinking about the torture this nurse went through before she eventually took her life. Thank you for this discussion of a very sad and under addressed issue. Nursing, heal thyself. Thank you for your thoughts, Judy. And I agree, there should be mandatory precautionary checks before any med administration to prevent any incidents like this from happening again. I am an RN with hospital and out of Hospital experience. I am so glad to see this article. This is really an issue that not very many people talk about and it affects so many nurses and inevitably affects the patients and families as well and the community as a whole. We are put under pressure to be the superheroes but where is the support for us? Nurses need to be nursed too. That is why I’m such a strong advocate of self-care. Thank you for writing this article!!! This is a serious issue that needs to be talked about more. I work in chemotherapy/biotherapy infusion room. We always do timeouts (double checks with another nurse). It’s time-consuming but comforting to us. Read “The Checklist Manifesto“ by Atul Gawande (sp?) A wonderful book. So sorry this nurse had to go through that. First I want to say I love and appreciate nurses. They are first line and I cannot take care of any patient without their input. This is such a tragedy. No one goes into nursing because they have a desire to hurt someone. When an error occurs, even of the most inconsequential kind, I see so much fear and self recrimination. Yes patients deserve safe quality care but there has to be a better way to handle errors than making a criminal out of the nurse. I don’t know if anyone outside of the field can understand the gut wrenching emotions and how their life can change in a moment when this happens.